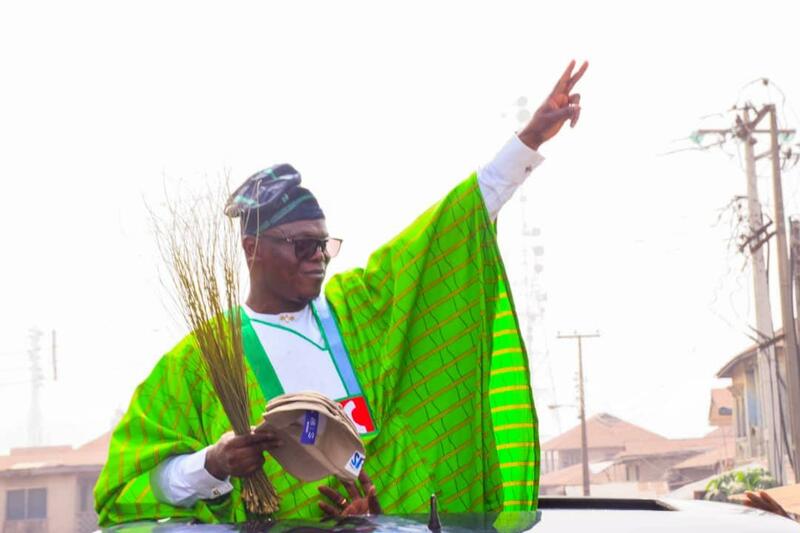 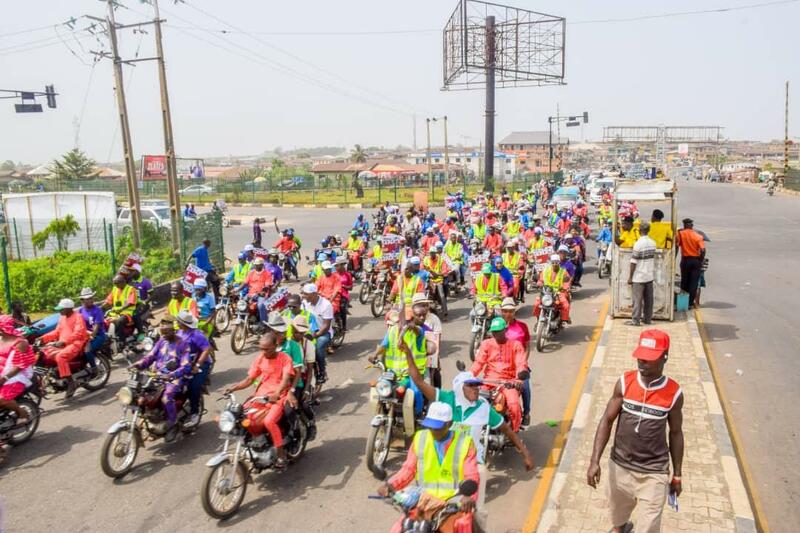 The candidate of the All Progressives Congress APC for the Osun Central Senatorial District in the 2019 General Election, Dr Ajibola Basiru on Tuesday flagged off his campaign. 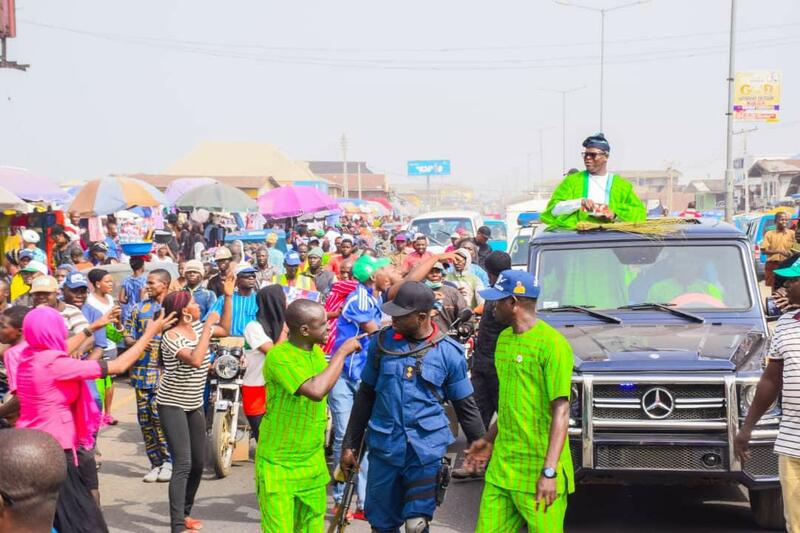 The carnival like rally which attracted the attendance of dignitaries especially Political gladiators in Osogbo and the APC Family in the state who were received by the waiting tumultuous crowd. 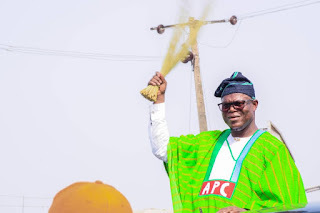 Addressing the mammoth crowd of supporters, Governor, State of Osun, Mr Gboyega Oyetola who was flanked by his deputy, Benedict Alabi and the Osun APC Chairman, Prince Gboyega Famodun urged voters not to sell their conscience but vote for the party that will help fast track their development quest. 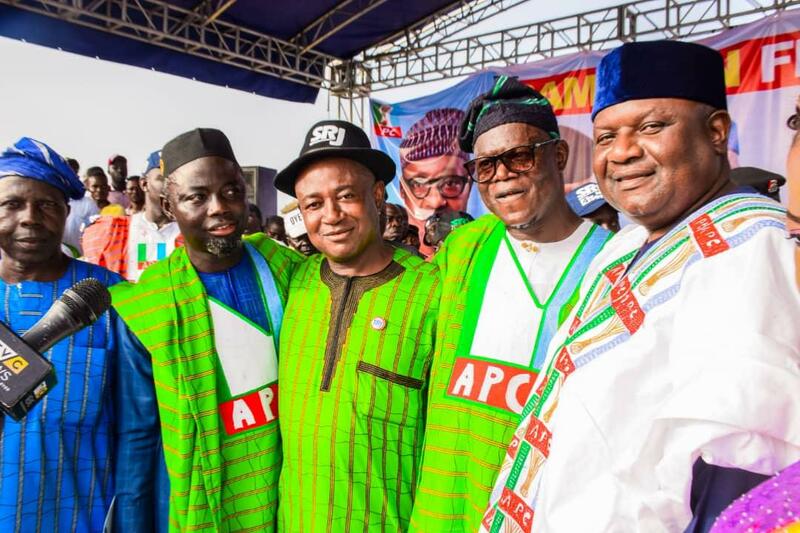 Governor Oyetola who called for enhanced voter education in reducing the number of void votes during February's General Election stressed the need for the electorate to support Dr Ajibola Basiru and other APC candidates in the elections. 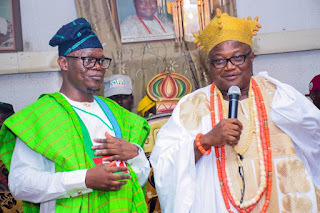 The Ataoja of Osogbo, Oba Jimoh Oyetunji Olanipekun Larooye II described Basiru as an experienced politician whose academic and political clout merits him being voted for in next year's election. 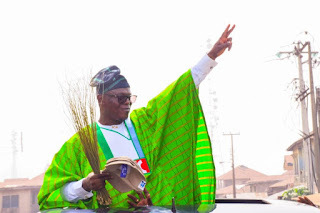 He pledged his support for the electoral success of Dr Basiru just as he urged the people of Osun Central to vote him to ensure credible and effective representation in the Upper Chamber of the National Assembly. 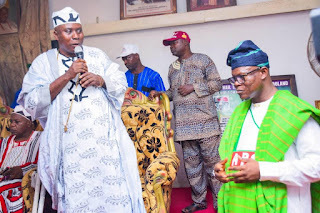 Different Groups, Political associates, Student Representatives and Party leaders including Alhaji Wale Lasisi, Iyaloja-General of the State, Alhaja Awawu Asindemade as well as representatives of the SDP in Osun Central all rallied support for SRJ. The chieftains noted the passion and the readiness of the people in throwing their weight behind the electoral success of Dr Basiru in the forthcoming general elections. 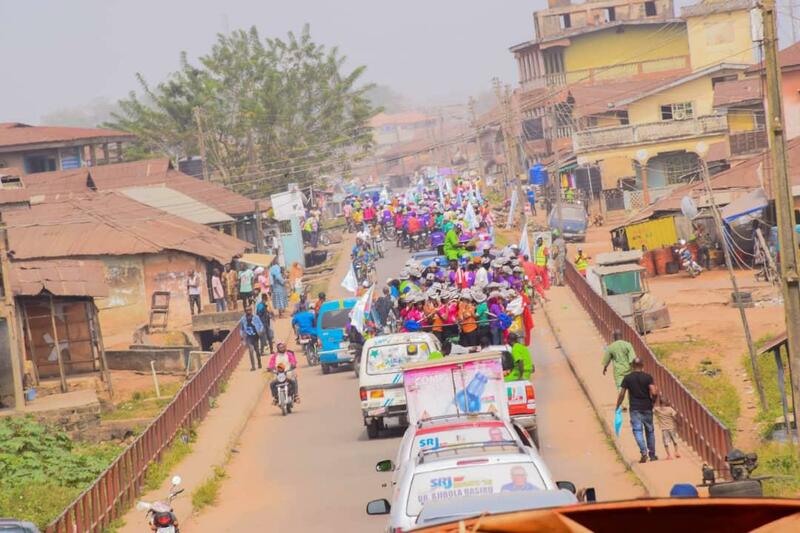 In his remarks, the APC Senatorial Candidate in Osun Central, Dr Ajibola Basiru appreciated the people of the district for trooping out to witness his campaign flag off. He assured the people of his commitment to carry out constitutional legislative duties and seek to the welfare of the people through ICT, Agriculture as well as Women and Youth Empowerment. Basiru promised to facilitate various developmental projects to the district pledging his readiness to work for the success of the Gboyega Oyetola administration in the State of Osun. 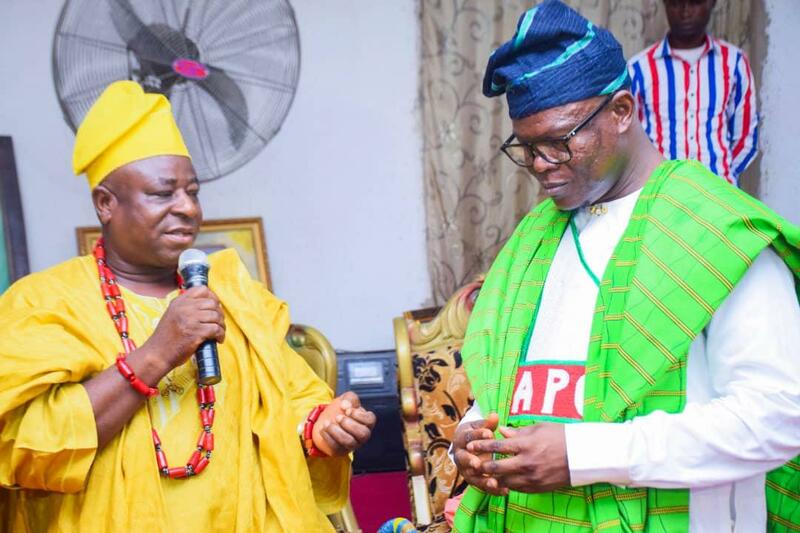 Earlier, the Director-General of the Ajibola Basiru Campaign Organization, Hon Laide Ajibola expressed his gratitude to the people for their unflinching support. Ajibola urged voters in Osun Central to support the ambition of SRJ as he is only competent, credible and capable hand to sponsor people friendly legislative motions for the benefit and the welfare of the people of the district.